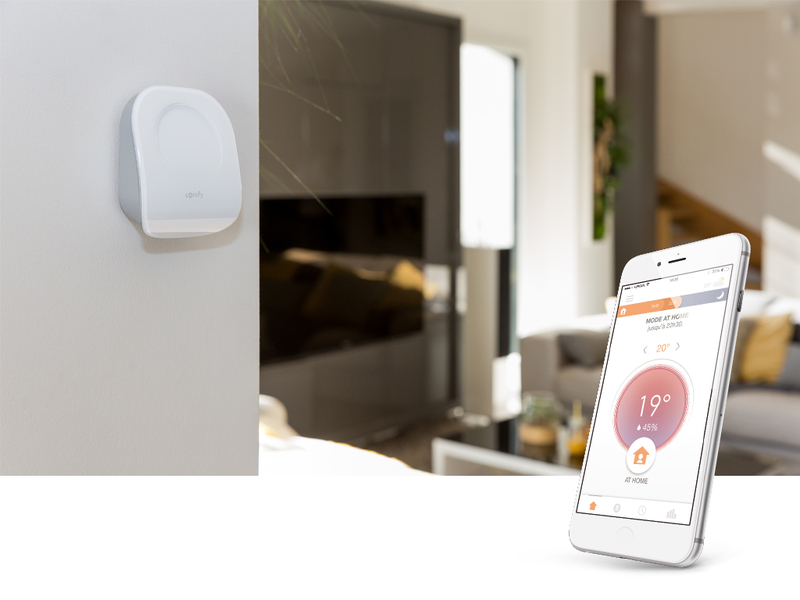 Improve your home thermal comfort and control your energy consumption thanks to Somfy Connected Thermostat. This product enables you to regulate the temperature of your home and is tailored to your daily life. You can easily set up your temperature wherever you are or select the convenient mode between away, night, at home or frost free. The thermostat can also give you information about the humidity level of your installation thanks to its sensor. 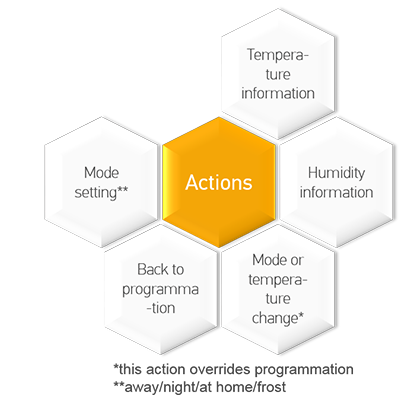 Our Open APIs give access to thermostat control on all key end-user actions.